The perfect decorative compass for desk or bookshelf. 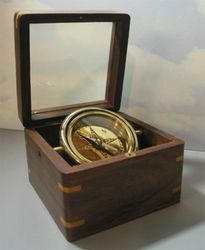 The glass covered box houses a lovely brass gimballed compass and is a 4.5" square and weighs close to two pounds. 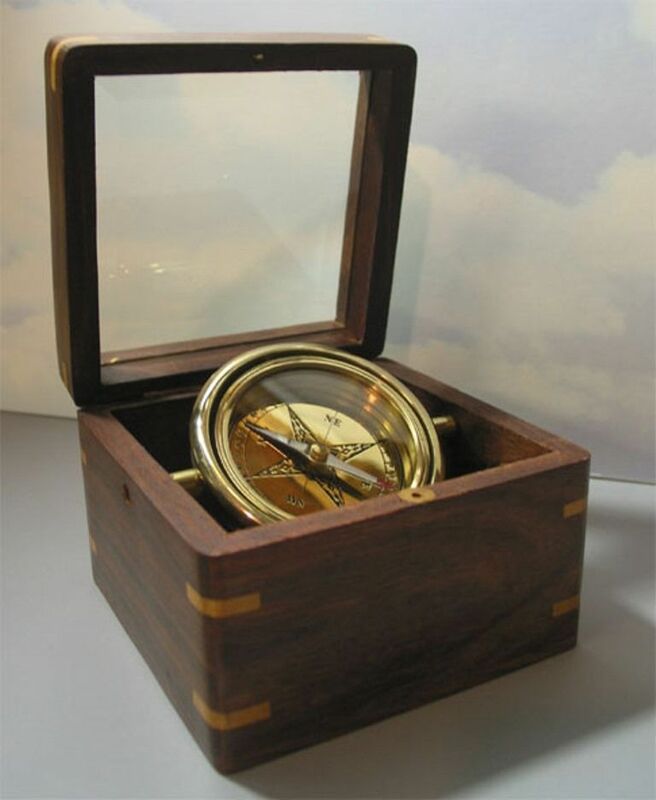 This box compass will grace the executive desktop or home with equal charm.